SR5 trim. PRICED TO MOVE $300 below NADA Retail! 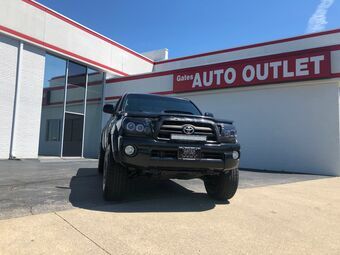 Aluminum Wheels, Bed Liner, Fourth Passenger Door, 4x4, TRD OFF-ROAD PKG, ALL WEATHER GUARD PKG, CLOTH CAPTAINS CHAIRS, UNDER-THE-RAIL BEDLINER, REMOTE KEYLESS ENTRY CLICK ME! 4x4, Fourth Passenger Door. Third Passenger Door, Privacy Glass, Brake Assist, 4-Wheel ABS, Front Disc/Rear Drum Brakes. TRD OFF-ROAD PKG 16 x 7 aluminum wheels w/center caps, P265/70R16 tires, fog lights, color-keyed overfenders, Bilstein shock absorbers, off-road tuned suspension, TRD Off-Road graphics, CLOTH CAPTAINS CHAIRS driver/front passenger 2-stage side-impact & curtain airbags, UNDER-THE-RAIL BEDLINER, REMOTE KEYLESS ENTRY, ALL WEATHER GUARD PKG HD battery/heater/ starter, chrome heated pwr mirrors. Toyota SR5 with NATURAL WHITE exterior and FL43 interior features a 8 Cylinder Engine with 282 HP at 3800 RPM*. This Tundra is priced $300 below NADA Retail. 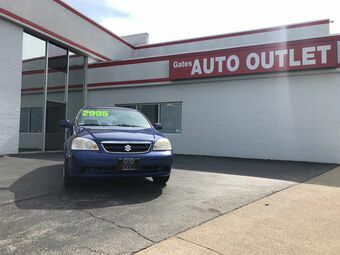 This vehicle is located at Toyota South 961 Four Mile Rd Richmond KY 40475 Pricing analysis performed on 4/20/2019. Horsepower calculations based on trim engine configuration. Please confirm the accuracy of the included equipment by calling us prior to purchase. CARFAX 1-Owner, LOW MILES - 55,154! EPA 26 MPG Hwy/19 MPG City! Heated Leather Seats, Sunroof, 3rd Row Seat, Premium Sound System, Dual Zone Climate Control, Power Fourth Passenger Door, Captains Chairs, XLE PKG 4, Rear Air AND MORE! Third Row Seat, Quad Bucket Seats, Power Liftgate, Rear Air, Premium Sound System, Dual Zone Climate Control, Power Fourth Passenger Door. MP3 Player, iPod Input, Remote Trunk Release, Privacy Glass. 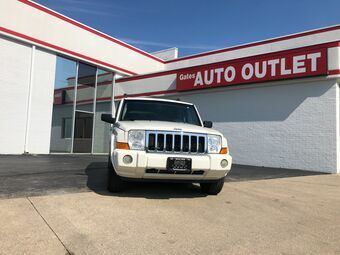 XLE PKG 4 leather seat trim, heated front seats, moonroof, daytime running lights, 2nd & 3rd row window sunshades, vehicle stability control, rear disc brakes, windshield wiper de-icer, 17 alloy wheels w/P225/60R17 tires. Toyota XLE with BLUE MIRAGE METALLIC exterior and STONE interior features a V6 Cylinder Engine with 266 HP at 6200 RPM*.  This vehicle is located at Toyota South 961 Four Mile Rd Richmond KY 40475 Pricing analysis performed on 4/2/2019. Horsepower calculations based on trim engine configuration. Fuel economy calculations based on original manufacturer data for trim engine configuration. Please confirm the accuracy of the included equipment by calling us prior to purchase. 1-Owner Clean Car Fax No Accident or Damage Reports, w 14 Maintenance Records, We Did A 182 Multi-Point Inspection, Balanced & Rotated Tires, 4-Wheel Alignment, Sunroof, Heated Leather Seats, iPod/MP3 Input, Multi-CD Changer, Dual Zone A/C, 4x4, Alloy Wheels, Satellite Radio, Premium Sound System, Local Trade, Service Records Available, Originally Bought Here, Call To Set Up Your Test Drive (859)779-1000. 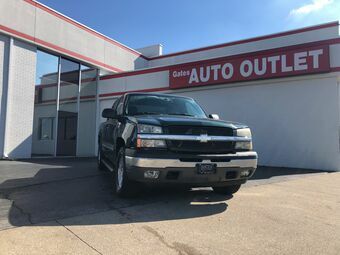 Leather Seats, Sunroof, 4x4, Heated Driver Seat, Premium Sound System, Satellite Radio, iPod/MP3 Input, Multi-CD Changer, Aluminum Wheels, Dual Zone A/C, Heated Leather Seats MP3 Player, Keyless Entry, Privacy Glass, Child Safety Locks, Steering Wheel Controls. Honda EX-L with Alabaster Silver Metallic exterior and Gray interior features a 4 Cylinder Engine with 180 HP at 6800 RPM*. Clean Car Fax No Accident or Damage Reports, Local Trade, We Did A 182 Multi-Point Inspection, Balanced & Rotated Tires, 4-Wheel Alignment, Service Records Available, Originally Bought Here, Call To Set Up Your Test Drive (859)779-1000. The CR-V's storage areas are ideal for families on the go. There's ample trunk space, lots of interior cubbies and a cargo cover that you can use as a shelf. --USNews.com. Great Gas Mileage: 27 MPG Hwy.